There was a man sitting in front of me. When he saw me taking pictures, he asked if I could send him any pics that I took. I realized then, that I was talking to our workshop speaker, David Janzen. 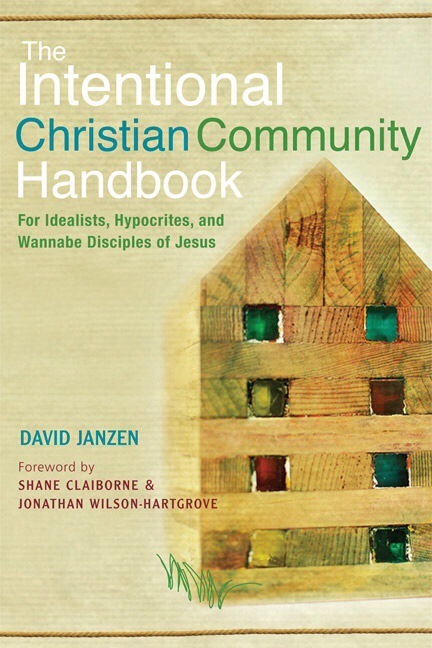 I’m a big fan of his book, “The Intentional Christian Community Handbook; for Idealists, Hypocrites, and Wanna Be Followers of Jesus“. Frankly, he had me at the title, but the rest of the book is pretty awesome. 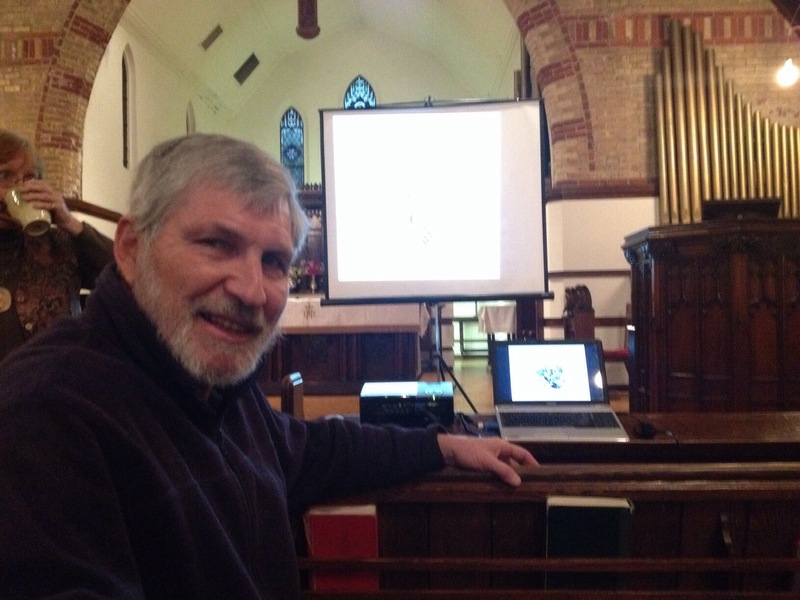 David combines decades (yes I said DECADES) of experience in intentional community with visits to and interviews in the context of another thirty communities throughout the USA, and has gathered together their collective wisdom. Over the next week or so I will unload some of my compulsive notes from the event, but I wanted to start just talking about my interaction with David. He was present. Even though he was just about to start leading the workshop, and could have had his attention zinging off in a bunch of directions, he spoke to you like you were the only person in the room. He asked lots of questions and was genuinely interested. Deeply encouraging and affirming. I found myself at rest in his presence – the Presence of Jesus in him, really. Isn’t it great when you can’t tell where we end and God begins? Just in our five minute conversation, he created community. I know he’s going to read this because he wants to keep in touch, and I said my blog was likely a better way to find out about us than our ancient and desperately needing updating website (workin’ on it!). I got to know him well enough to know that he would likely be uncomfortable about my singling him out in this way, and try to bring focus to the group gathered that day, the community, and our shared experience. Sorry David! But I think it’s important. It’s been said, mostly by me but by other much smarter folks too, that we teach what we know, but reproduce who we are. As David travels all over strengthening intentional communities with the Nurturing Communities Project, may his life and ministry of presence continue to be fruitful.